In typical British fashion we've had our first weekend of glorious sunshine followed immediately by two days of showers. Apart from reminding us that we live on an island of inconsistent seasonal weather, it also emphasizes that we require something for the occasional glitch and chilly post BBQ evenings. 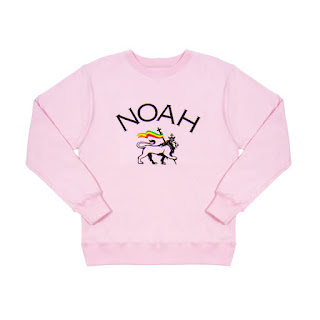 My solution to this comes from a brand I've had a watchful eye on for a little while now, Noah. 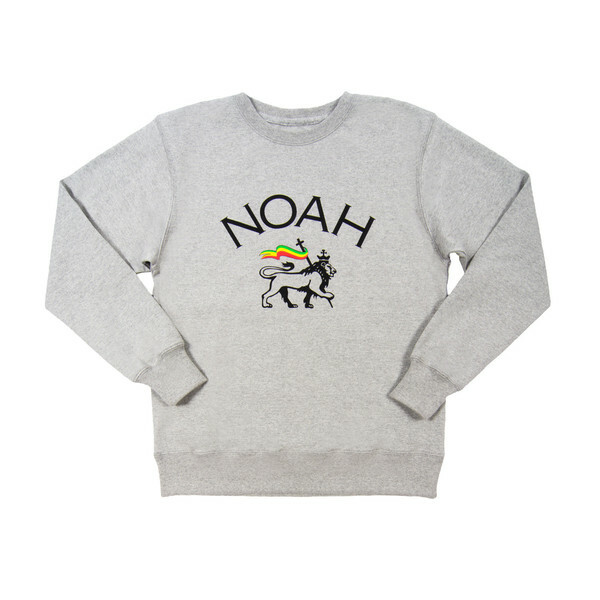 Noah is cross-generational bridging youth culture and classic culture. Our name was born out of a deep reverence for the aquatic sphere, while at the same time, serving as a nod to the last of the pre-flood Patriarchs. Our motif is derived from the iconic Knights Templar cross, which not only connects the brand to its maritime roots, but further exemplifies Noah’s commitment to and belief in the virtue of the outlaw. Perfectly suited for Spring it's made from rugby fabric fashioned into a crewneck sweatshirt with the Lion of Judah logo printed prominently on the chest. My pick would have to be the Pink colourway but it does also come in Light Blue and Smoke. I haven't bought into brands like Supreme and Palace because I don't feel as though I have the adequate deportment required to represent them, not even as a casual consumer. I have never skated, and my appreciation of the various subcultures they depict didn't come until much later in my life. 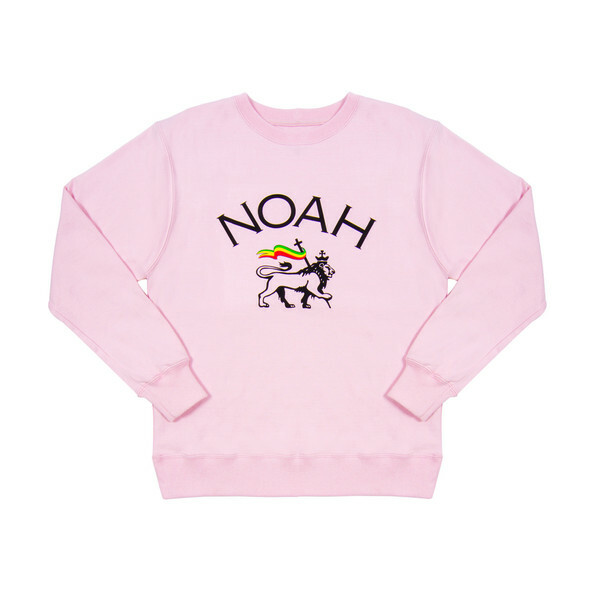 And yet despite it being founded by the once creative director of Supreme, there is something really quite engaging about Noah. The brand's aesthetic is inspired by the spirit of life near the water and its composition of experience, youthfulness, multifaceted interests and careful consideration of it's customer's individuality are the motives behind my interest. The more I read about Babenzien the more his ideas and intentions resonate with me, and I want to be onboard his ark. You can buy the Lion of Judah crewneck directly from the online store HERE, Noah does offer both domestic and international shipping.